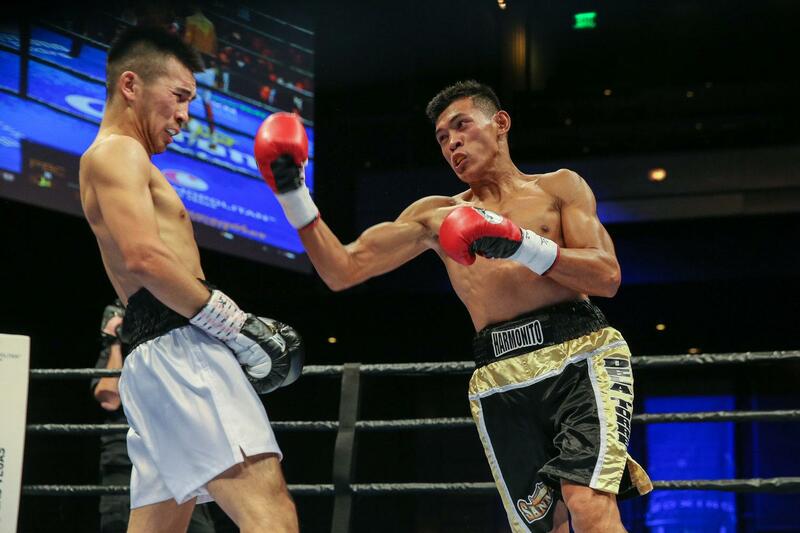 Press Release: April 13, 2018 by Sanman Promotions – Last November 18, 2017, Harmonito “Hammer” Dela Torre saw his streak of 19 straight wins come to an abrupt end when he absorbed a unanimous decision loss to Olympian Tugstsogt Nyambayar in Las Vegas, Nevada USA. Two weeks from now, Dela Torre will have a chance to get back on track when he battles Jovany Rota in the undercard of “Undefeated” fight card slated April 28 in Glan, Saranggani Province. 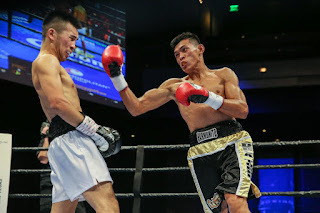 The loss to Nyambayar dropped Dela Torre’s record to 19W-1L-0D (12Kos) and the Sanman Boxing Gym fighter vowed to pull off a big bounce back win against Rota. “I learned a lot from my first loss. I lost to a great boxer, who is a silver medalist in the Olympics. I thought I did well but I came up short. I will be back stronger than ever,” said Dela Torre. Dela Torre admitted that the loss was a bitter pill to swallow but the debacle also taught him to work even harder. “Accepting the loss was very hard at first but I realized that I have to train harder so that it won’t happen again,” said Dela Torre. He may have faltered against Nyambayar but Dela Torre said no way that he is going to give up on his dream to become a world champion especially now that he has an inspiration. “My daughter is my big inspiration. I need to be a champion to give her a good future. I will do everything to become a champion,” said Dela Torre. In the upcoming card, Dela Torre said there is no room for complacency although he will be up against an opponent who has more losses than wins. Rota has nine wins, six of them by knockouts, and 13 losses. “I’ve seen some of his fights. I am confident but in boxing, you can never underestimate any opponent. This is very important for me as my team told me that if I win this one, I have a big fight coming,” he said. Jim Claude Manangquil, CEO of Sanman Promotions, agreed that the duel with Rota is an important one for Dela Torre. Jim Claude Manangquil, CEO of Sanman Promotions, agreed that the duel with Rota is an important one for Dela Torre. The upcoming card will be headlined by Jade Bornea, who will take on Danrick Sumabong in the main event. Material Courtesy of: Sanman Promotions/ Photo Courtesy of: Andy Samuelson/ Premier Boxing Champions Used with permission. For more information about Sanman Promotions and to watch the Sanman Live Boxing series please visit Sanman Promotions’ official Facebook page: www.facebook.com/Sanmanpromotions. For more information about the Premier Boxing Champions series please visit: www.premierboxingchampions.com.